This young man with the big swing and determined face is Brewers outfielder Tommy Henrich. 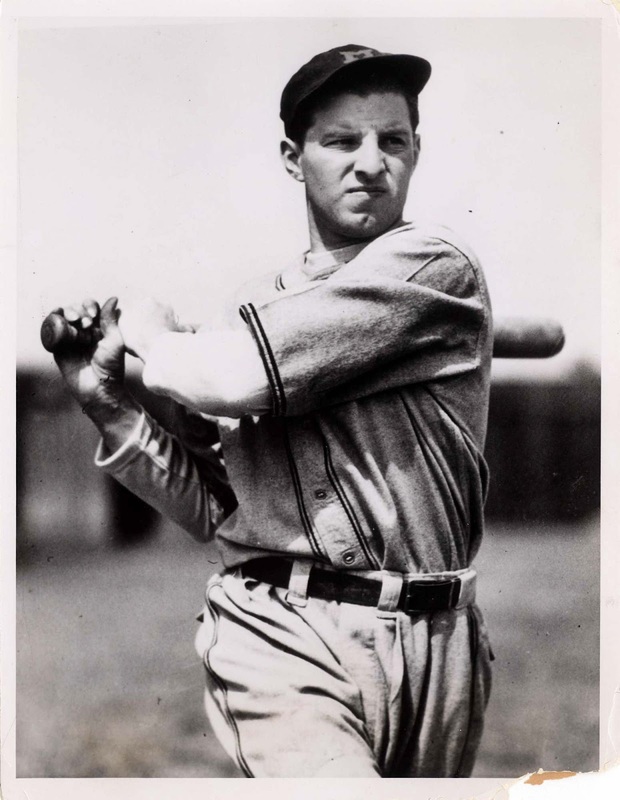 At least, he was a Brewer ourfielder when the picture was taken, in March of 1937. But he wouldn't be a Brewer for long. We recounted Henrich's story upon his passing in December 2009, but it's a fascinating one and having recently acquired this photo gives me an excellent excuse to repeat it. He came to the Brewers in October of 1936 from the New Orleans Pelicans, then a farm club of the Cleveland Indians. Henrich, who had been widely expected to move up to the big-league club, believed that the Indians were trying to keep hold of his contract by "hiding" him in Milwaukee (outside their regular farm system) and away from other major league clubs. Both clubs would benefit from such an arrangement; the Brewers would get the services of a major-league-ready star and the Indians could hang on to a player they wanted but had no immediate roster spot for. Everybody wins, except the player in question. Henrich wasn't about to let this scheme unfold without a challenge. In January, Henrich wrote to Kennesaw Mountain Landis, the commissioner of organized baseball, asking for intervention. Landis voided Henrich's contract with Milwaukee and made him a free agent, able to set his own price on the open market. By the time the 1937 season started, Tommy Henrich was out of that Brewer uniform and in Yankee pinstripes. Newspapers around the country followed the developing story closely, given its importance to baseball as a whole. Their reports were often accompanied by this same picture of Henrich's big swing and the steely gaze under his Brewer cap (reproductions of which are still available as a custom order from Ebbets Field Flannels). I've seen this wire photo many times, always reproduced in scans of old newspapers, but this first-generation copy is a valued addition to the BorchertField.com collection.